2018 Porsche Macan in White Porsche Traction Management (PTM) active all-wheel drive, 7-Speed Porsche Doppelkupplung (PDK), Turbocharged 2.0L I4, Leather interior in Black / Luxor Beige. Included Options: White, Steering Wheel Heating, Lane Change Assist (LCA), Porsche Dynamic Light System (PDLS), Smoking Package, Bose® Surround Sound System, 18" Macan Wheels, Porsche Doppelkupplung (PDK), Porsche Connect, Auto-Dimming Mirrors, Premium Package, Power Seats (8-way), Standard Interior in Black/Luxor Beige. 2018 Porsche Macan in Rhodium Silver Metallic Porsche Traction Management (PTM) active all-wheel drive, 7-Speed Porsche Doppelkupplung (PDK), Turbocharged 2.0L I4, Leather interior in Black. Included Options: Steering Wheel Heating, Roof Rails in Black, Lane Change Assist (LCA), Porsche Dynamic Light System (PDLS), Smoking Package, Bose® Surround Sound System, 18" Macan Wheels, Porsche Doppelkupplung (PDK), Porsche Connect, Auto-Dimming Mirrors, Premium Package, Power Seats (8-way), Rhodium Silver Metallic, Standard Interior in Black. 2018 Porsche Macan in Black AWD, 7-Speed Porsche Doppelkupplung (PDK), Turbocharged 2.0L I4, Leather interior in Black. Included Options: Steering Wheel Heating, Roof Rails in Black, Lane Change Assist (LCA), Porsche Dynamic Light System (PDLS), Smoking Package, Bose® Surround Sound System, Black, 18" Macan Wheels, Porsche Doppelkupplung (PDK), Porsche Connect, Auto-Dimming Mirrors i.c.w. Driver Memory Package, Power Seats (14-way) with Memory Package, Premium Package Plus, Standard Interior in Black. 2018 Porsche Macan in Jet Black Metallic Porsche Traction Management (PTM) active all-wheel drive, 7-Speed Porsche Doppelkupplung (PDK), Turbocharged 2.0L I4, Leather interior in Black. Included Options: Jet Black Metallic, Steering Wheel Heating, Roof Rails in Black, Navigation Module for Porsche Communication Management (PCM), Lane Change Assist (LCA), ParkAssist (Front and Rear) with Surround View, Smoking Package, 19" Macan Turbo Wheels, Porsche Connect Plus, Premium Package Plus, Standard Interior in Black. 2018 Porsche Macan in White Porsche Traction Management (PTM) active all-wheel drive, 7-Speed Porsche Doppelkupplung (PDK), Turbocharged 2.0L I4, Leather interior in Black / Garnet Red. Included Options: White, Wheel Center Caps with Colored Porsche Crest, SportDesign Package in Black with Side Skirts, Steering Wheel Heating, Panoramic Roof System, Driver Memory Package, Seat Heating (Front and Rear), Porsche Entry & Drive, Door Handles in Black (High-Gloss), Lane Change Assist (LCA), Smoking Package, 18" Macan S Wheel, Porsche Connect, Auto-Dimming Mirrors i.c.w. Driver Memory Package, Window Trim in Black (High-Gloss), Leather Package in Black/Garnet Red. 2018 Porsche Macan Sport Edition in White Porsche Traction Management (PTM) active all-wheel drive, 7-Speed Porsche Doppelkupplung (PDK), Turbocharged 2.0L I4, Leather interior in Black. Included Options: Deletion of Model Designation, Sport Exhaust System incl. Tailpipes in Black, White, Air Suspension incl. Porsche Active Suspension Management (PASM), Steering Wheel Heating, Roof Rails in Black, Auto-Dimming Interior Mirror, Door Handles in Black (High-Gloss), Lane Change Assist (LCA), 20" RS Spyder Design Wheels, Porsche Doppelkupplung (PDK), Power Seats (8-way), Standard Interior in Black. Other Features: ABS brakes, Alloy wheels, DVD-Audio, Electronic Stability Control, Front & Rear Heated Seats, Front dual zone A/C, Heated door mirrors, Heated front seats, Heated rear seats, Illuminated entry, Low tire pressure warning, Navigation System, Porsche Communication Management, Power Liftgate, Power moonroof, Remote keyless entry, Traction control. 2018 Porsche Macan Sport Edition in Agate Gray Metallic Porsche Traction Management (PTM) active all-wheel drive, 7-Speed Porsche Doppelkupplung (PDK), Turbocharged 2.0L I4, Leather interior in Black. Included Options: Sport Exhaust System incl. Tailpipes in Black, Steering Wheel Heating, Roof Rails in Black, Lane Change Assist (LCA), Smoking Package, Agate Grey Metallic, Voice Control, Standard Interior in Black. 2018 Porsche Macan Sport Edition in Carrara White Metallic Porsche Traction Management (PTM) active all-wheel drive, 7-Speed Porsche Doppelkupplung (PDK), Turbocharged 2.0L I4, Leather interior in Agate Gray. Included Options: Carrara White Metallic, Steering Wheel Heating, Driver Memory Package, Lane Change Assist (LCA), 21" Sport Classic Wheels, Voice Control, Standard Interior in Agate Grey. 2018 Porsche Macan S in Mahogany Metallic Porsche Traction Management (PTM) active all-wheel drive, 7-Speed Porsche Doppelkupplung (PDK), 3.0-liter twin-turbo V6, Leather interior in Black. Included Options: Trailer hitch without tow ball, Heated Multifunction Sport Steering Wheel in Dark Walnut, Roof Rails in Aluminum Finish, Dark Walnut Interior Package, Navigation Module for Porsche Communication Management (PCM), Lane Change Assist (LCA), ParkAssist (Front and Rear) with Surround View, Adaptive Cruise Control (ACC) incl. 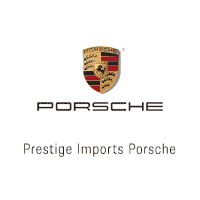 Porsche Active Safe (PAS), Smoking Package, 19" Macan Turbo Wheels, Porsche Connect Plus, Premium Package Plus, Voice Control, Standard Interior in Black, Mahogany Metallic.